Samurai Warriors: Spirit of Sanada, known in Japan as Sengoku Musou ~Sanada Maru~ is a hack and slash game by Koei Tecmo through their development subsidiary, Omega Force. 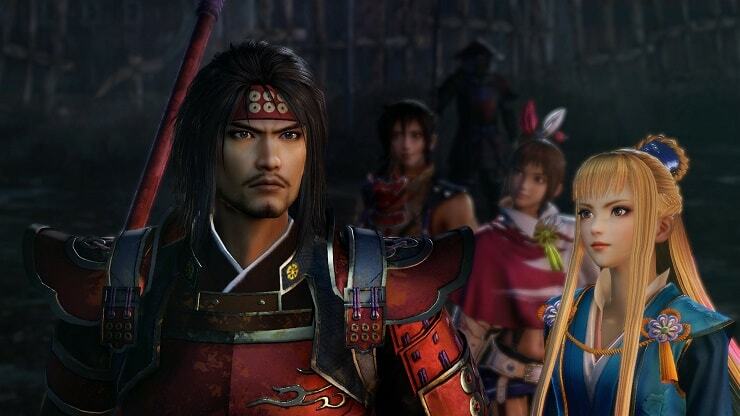 It is a spin-off of Samurai Warriors 4, part of the Samurai Warriors series, which in turn is a spin-off of the long-running Dynasty Warriors series, both of which are also hack and slash games. It was released on November 23, 2016 in Japan to coincide with the airing of the climax episode of the ongoing NHK TV taiga drama Sanada Maru. It will also be released in North America and Europe in 2017. The game retains the basic hack and slash play of the main series. The player controls a character through a specific battlefield against an army of enemy soldiers with the ultimate objective of killing the enemy’s commander, although the player will be encouraged to complete side objectives that will raise the morale of the player’s allies or acquiring rewards. Spirit of Sanada reuses the engine of Samurai Warriors 4 and its expansions and retains that game’s play style and features. New features added include the addition of long-term battles, which are divided into several separate skirmishes affected by a day-and-night cycle that the player need to clear. A mechanic called “Next Move” is added, which allows the player to use a gimmick midway through the battle to aid the player’s cause, such as calling reinforcements or building bridges. Wikipedia®. Next Move requires “Sanada Coins”, obtained by meeting several conditions throughout the game or collected in the new Castle Town format. The game also revamps the menu system. Like Dynasty Warriors 7: Xtreme Legends but unlike the main series, the player does not choose a game mode in a separate menu system. Instead, once the player starts a playthrough, they are given immediate control of their chosen character, albeit in a hub area called the “Castle Town”. There, the player can access Story Mode, Gallery, and other modes by interacting with the environment, such as talking with the NPCs. The player can also do other activities such as purchasing horses, exploring the outskirts to face enemies and collect items, or go fishing to gather valuable materials or form bonds with other officers. The game uses a Full 3D Map of the Warring States period of Japan for situational explanations. By moving the camera across the map, players are able to view the lands where battles have been held from various angles. Like the main series, Spirit of Sanada explores and romanticizes the Sengoku period of Japan, a period of political and military conflict involving the daimyo and their clans raising armies to fight against each other for power. While the main series features multiple viewpoints involving different factions, Spirit of Sanada focuses on one particular clan, the Sanada, who are led by Masayuki and his sons, Nobuyuki and Yukimura during the Sengoku period. The game’s timeline is roughly 54 years (from 1561 to 1615) and follows different incarnations of the main characters, who are aged up accordingly. Wikipedia®. Trainer for the game Samurai Warriors: Spirit of Sanada, you can use it to activate these essential Cheat Codes: Infinite Health, Max Musou, Max Rage, Max Combo, Max K.O., Freeze Rage Timer, Freze Mission Timer, Freeze Countdown Timer, Super Speed, One Hit Kill, Infinite Gold, Max Six Coins, Infinite Exp. Get alle Items. Note: This cheat tool is for the original version v1.0.2 of the game Samurai Warriors: Spirit of Sanada.